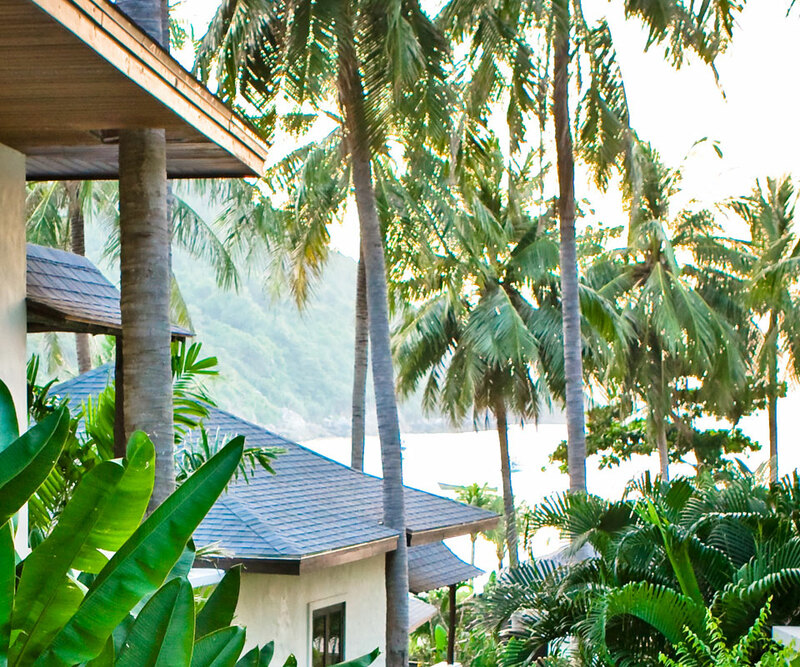 All the resort’s structures are built in harmony with the island’s natural topography. No land was cut or filled in the building process. Through a series of innovatively designed gutter drains and underground sump tanks, rainwater run-off is pumped back to the center of the island and allowed to flow back freely into the ground, replenishing the earth’s water bank. Minimizing rainwater run-off from flowing into the sea that would otherwise be detrimental to coral life in the bay. 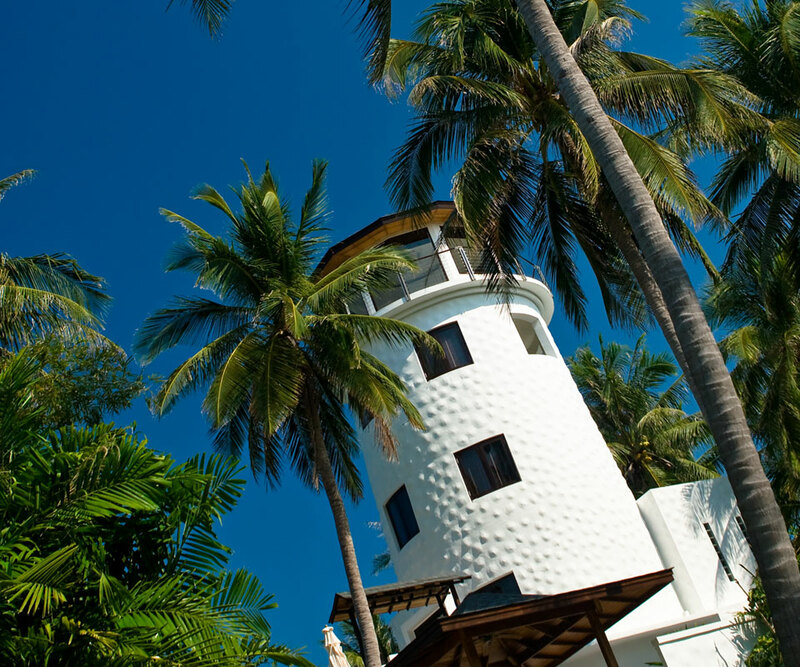 The coconut tree, the symbol of The Racha, takes pride of place at the resort. Many of the trees you see are the island’s original inhabitants. Villas were built around them. 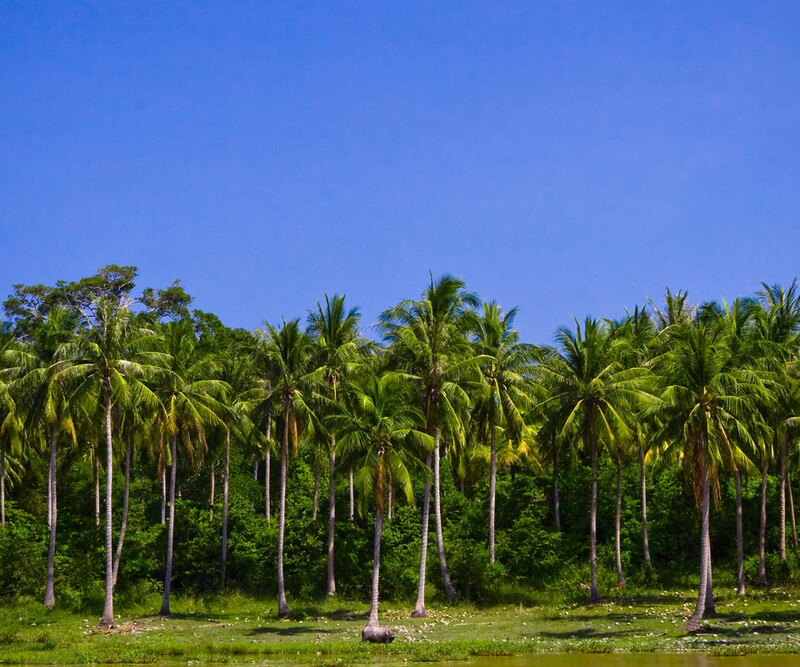 For every coconut tree that was cut, two were planted to replace it. Condensation water from air conditioning is used to fill the footbath outside every villa’s front door. Special heat exchangers are used to provide an ample supply of zero-energy hot water for the bathrooms from each villa’s air conditioning system. 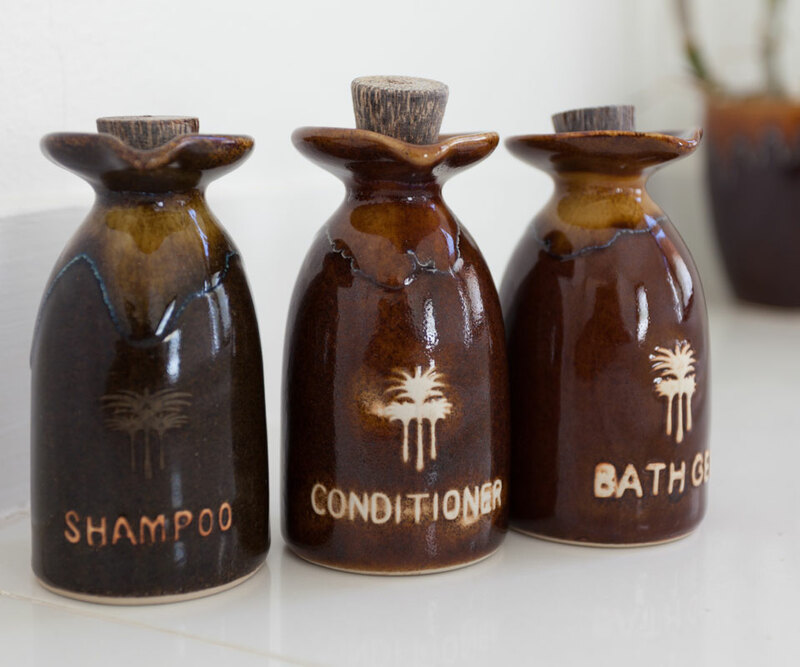 Shower and bath toiletries are contained in ceramic vessels instead of plastic. All bath products are made from the highest-quality locally sourced organic products. 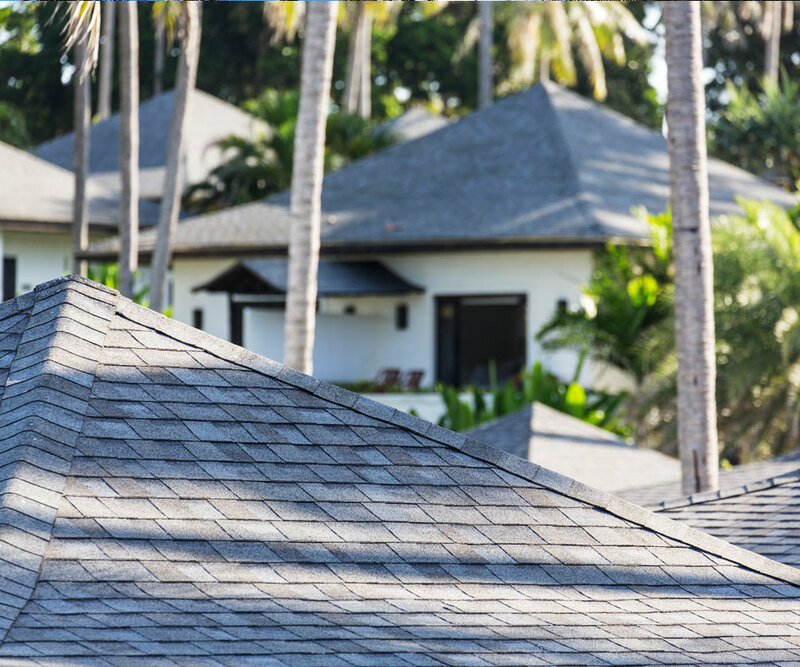 All villas have double thick exterior walls – reducing the energy load on air conditioning. There are no fabric curtains in all villas – thus no laundry required to clean them. To save on power, energy saving bulbs or LED rope lights are used throughout the resort. Instead of using chlorine, all swimming pool water is ozone treated – the most environmentally sound, chemical free, skin-friendly technology available. Water features play a vital part on the grounds. Ecologically, they also act as water catchment areas. 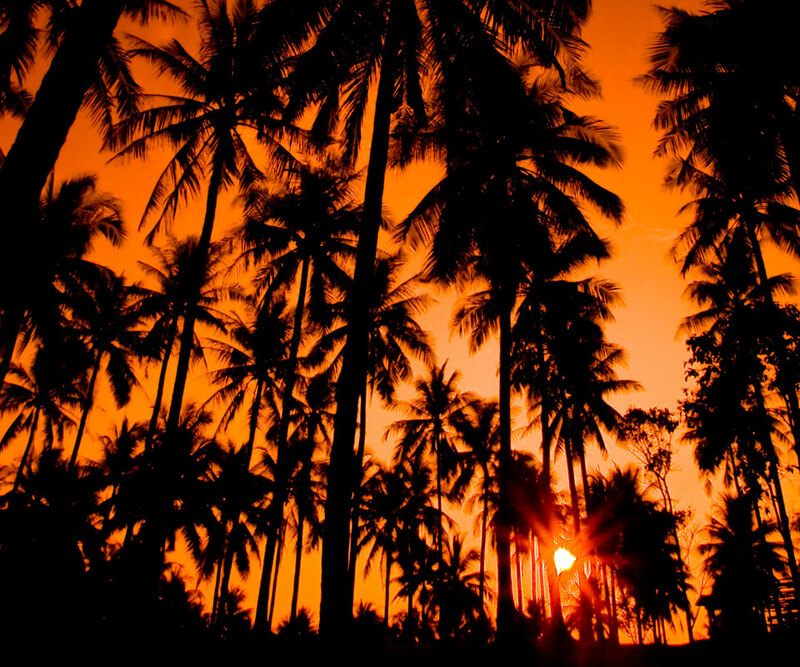 The rare Rak Talay trees, fronting the resort, are found only on a few islands in the Andaman Sea. 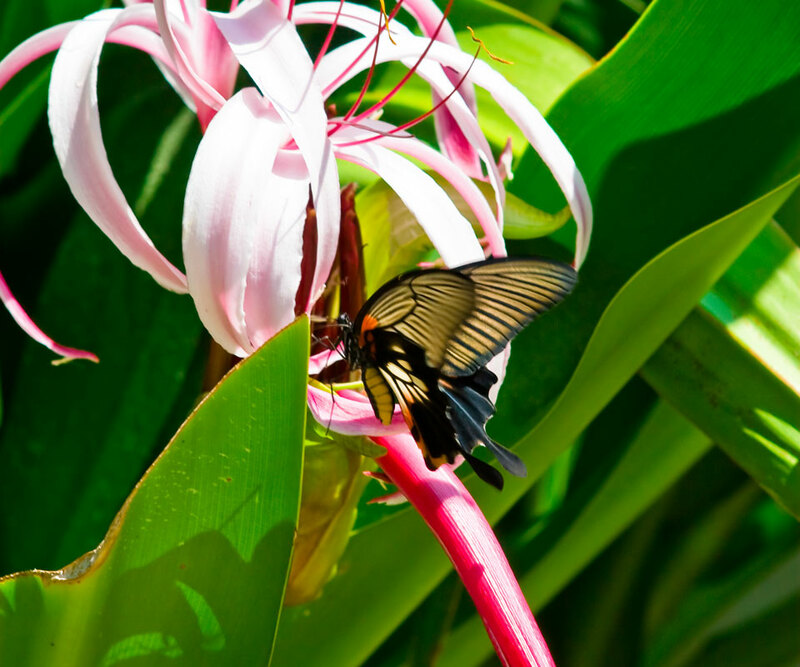 Many species of butterflies – among them Glassy Tigers Parantica aglea maghaba & Common Indian Crows Euploea core gordatii are drawn to these trees when in bloom. 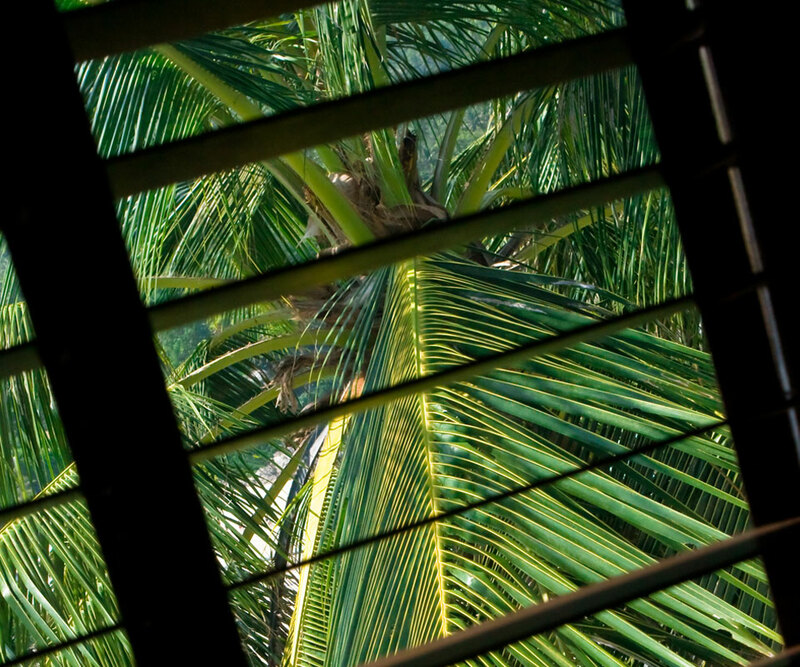 The lush greenery provides a stable ecosystem for many of the island’s animal inhabitants. Many creatures, from the Green Tree Frog Litorai caerulea (also a mascot for The Racha) to the giant placid Water Monitor Varanus salvator, feed on the insects that co-exist with the plants. Mountain bikes and low emission ATVs are available for guests to explore the island. 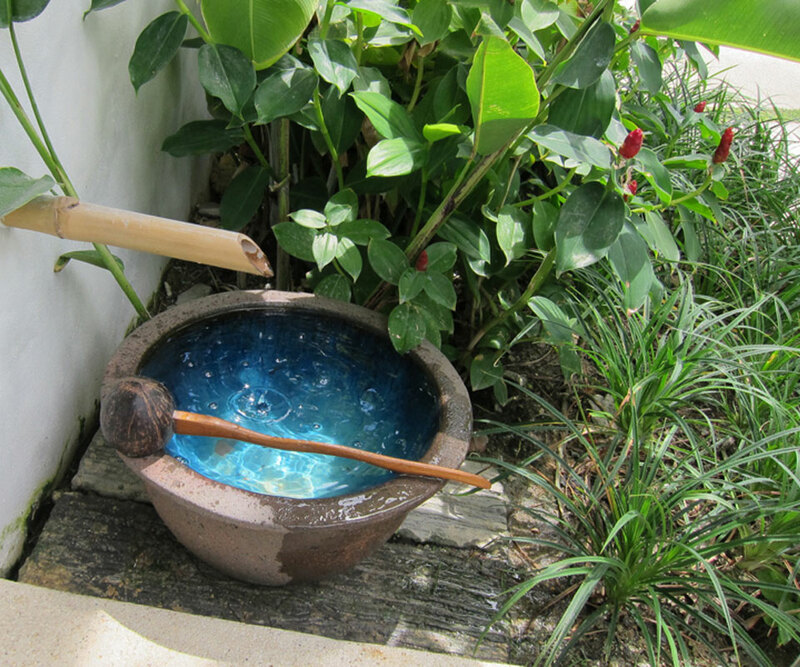 The Anumba Spa uses the highest-grade essential oils and organic spa products. Whenever possible, only the highest quality locally sourced, paraben-free spa products are used. 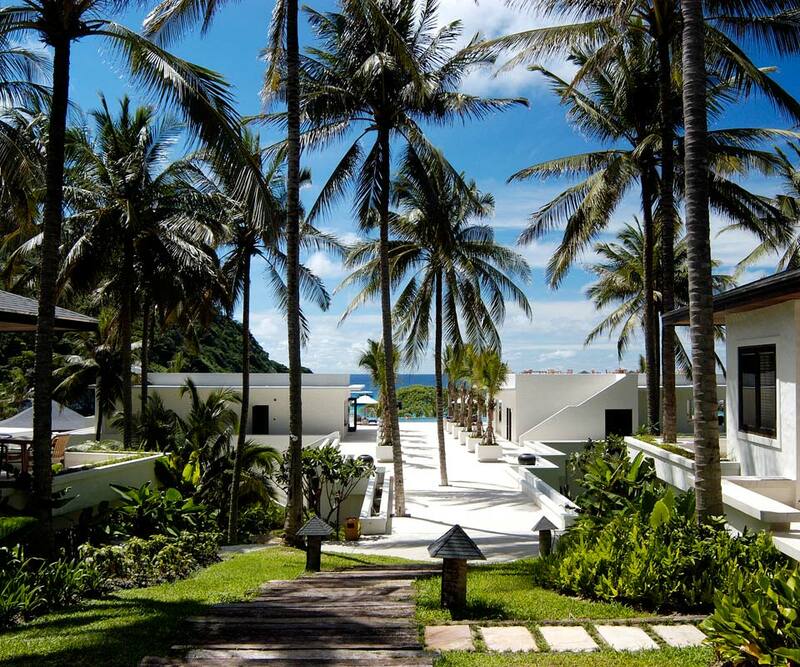 The Racha’s Hydroponic Farm provides guests with the freshest, nutrient-rich and pesticide-free produce. 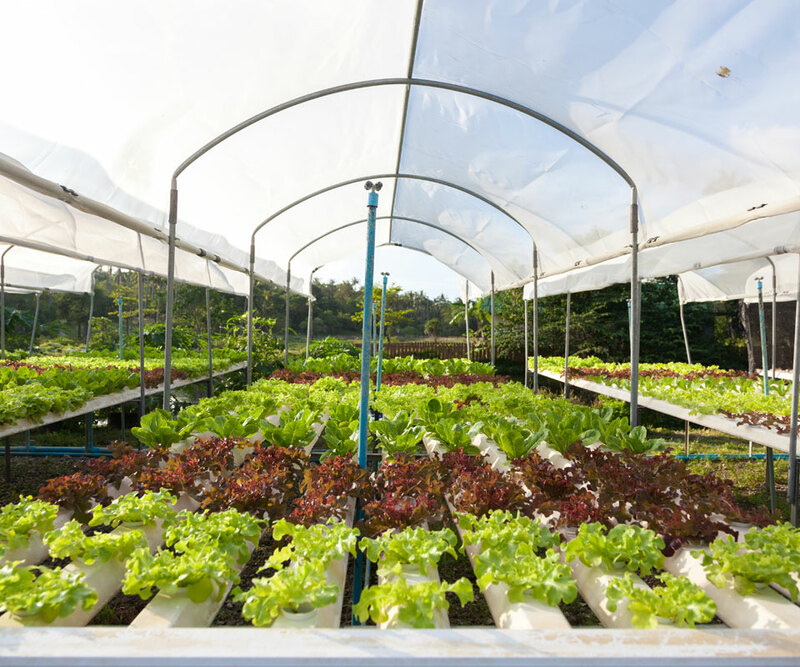 Lettuce varieties grown include Red and Green Oak, Romaine, Red and Green Coral, Mizuna, Lolla Red, Butterhead, and Iceburg. 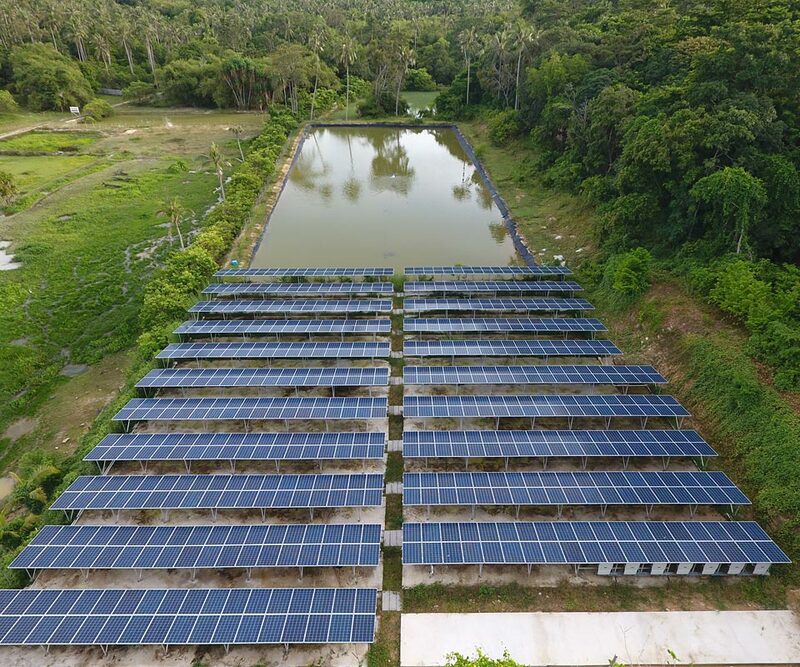 The half acre 250 kWp Solar-Diesel Hybrid Station produces up to 50% of the resort’s daily electricity requirements, reducing carbon dioxide emissions by approximately 24% or 1,500 Kg per day. At the Racha’s Bio-Fuel station, food waste is converted into Bio-Gas. This in turn is used for cooking in the Staff Canteen. Wood and vegetation scraps are converted into charcoal briquettes at our Charcoal Station. These are used in the BBQ grill at our Sunset Beach Restaurant daily. Plastics, glass, paper are recycled throughout the resort. 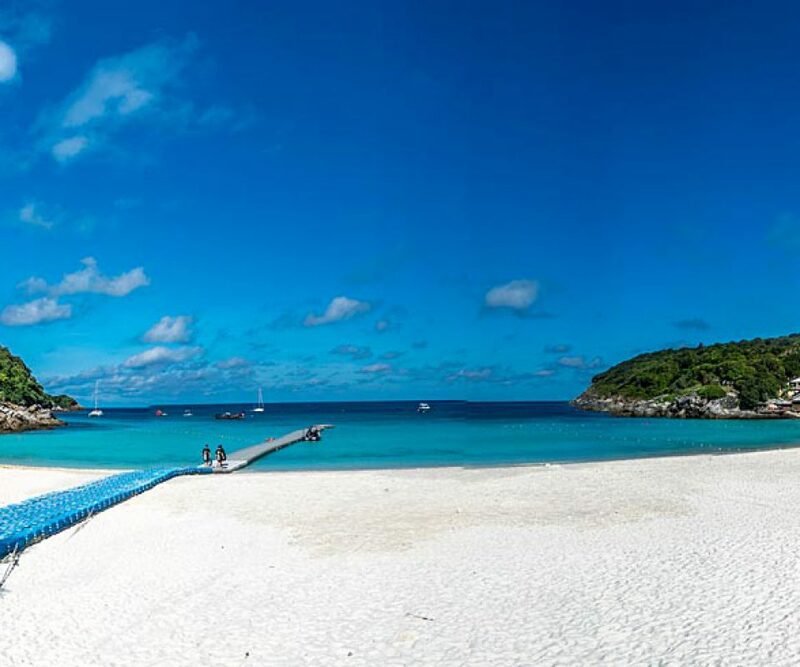 Instead of a concrete pier, The Racha utilizes a floating pontoon that can be moved between Batok Bay and Ter Bay. Building a concrete pier would involve extensive damage to the marine ecology of the island. 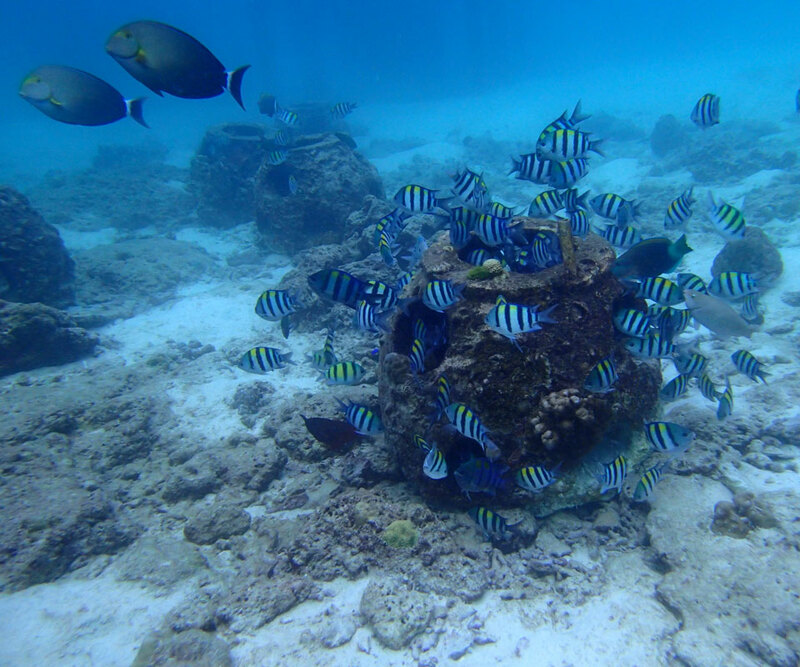 Since 2004, The Racha and The Racha Dive Center have supported The Reef Ball Foundation – a non-profit charity that protects and restores the world’s ocean ecosystems. 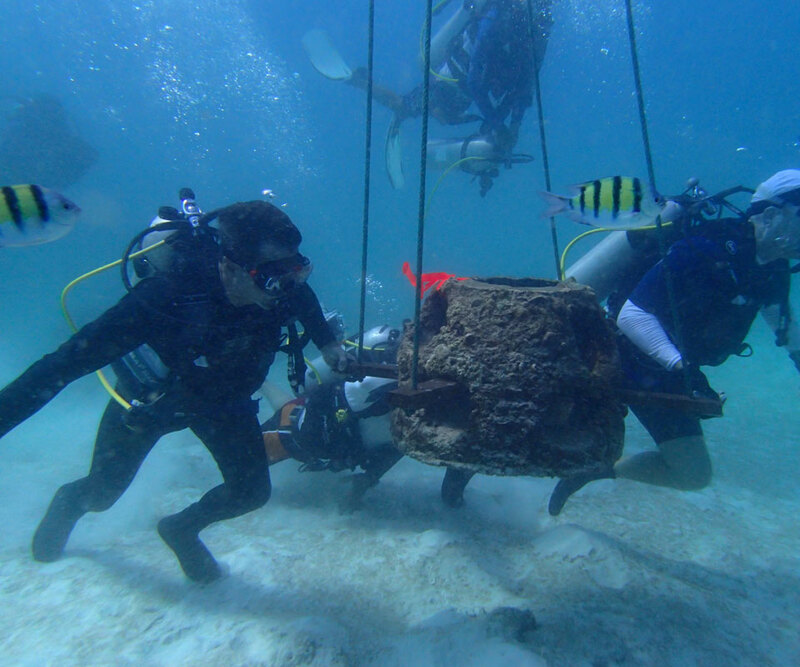 Today, 250 reef balls form five man-made reefs around the island. Juvenile Clownfish and many tiny critters nest in coral colonies that have made these pH-neutral concrete Reef Balls their home. 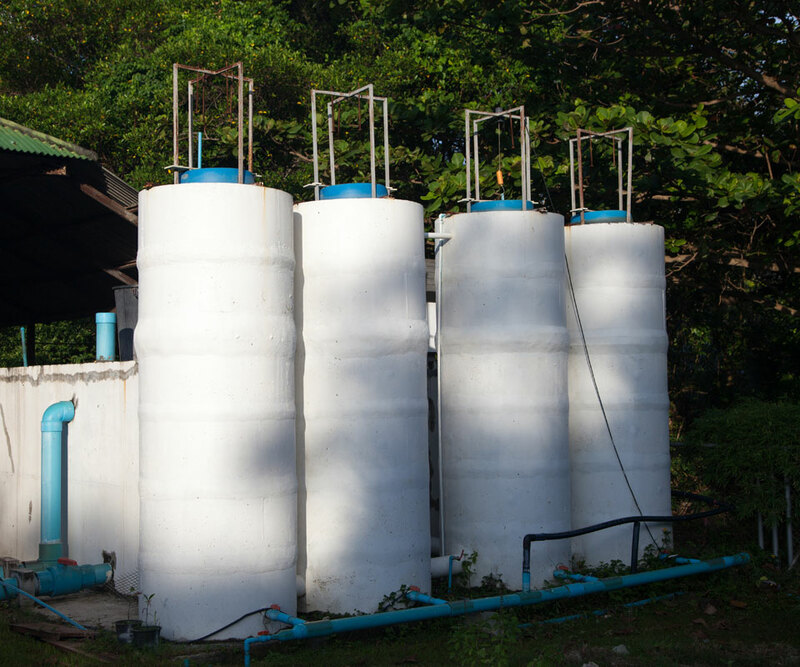 Rainwater is collected, recycled and treated at The Racha’s own reservoirs on the island for use throughout the resort. The reservoirs are home to many species of fish including Mekong Catfish Pangasianodon gigas and Redtail Catfish Phractocephalus hemioliopterus. 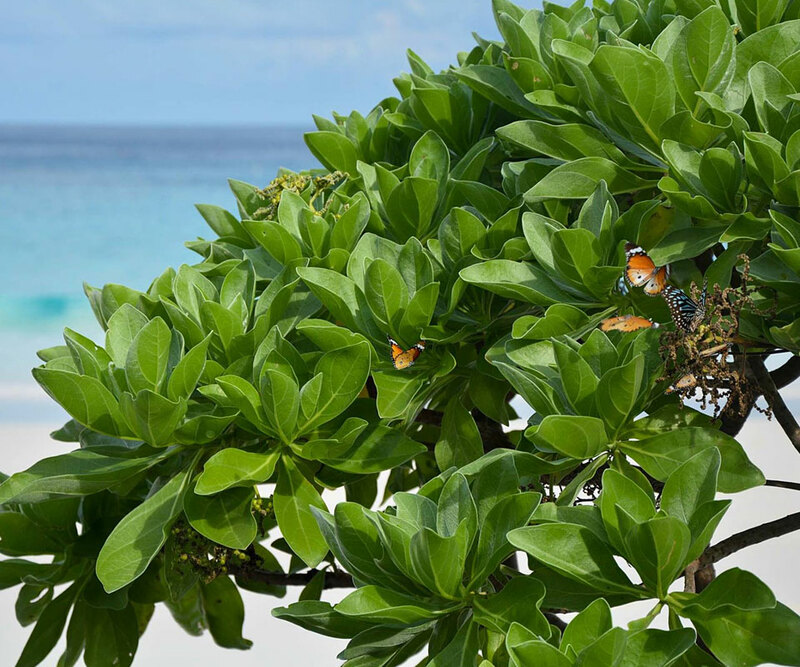 All waste water is properly treated at our sewage treatment plant and the effluent water is used for landscape irrigation throughout the resort. Titanium heat exchangers recover heat from our generators providing an ample supply of zero-energy hot water for laundry machines and staff showers. 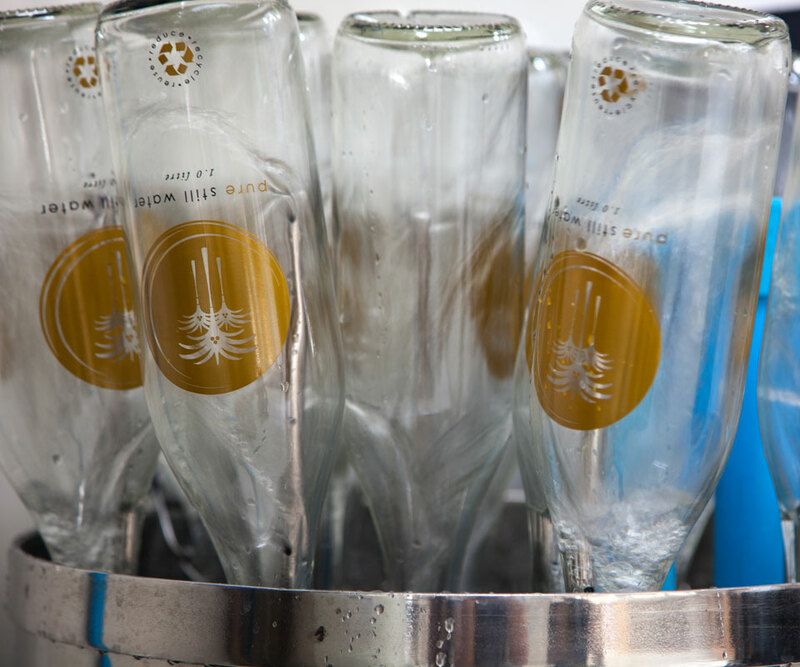 The resort’s drinking bottles are eco-friendly, reusable glass. 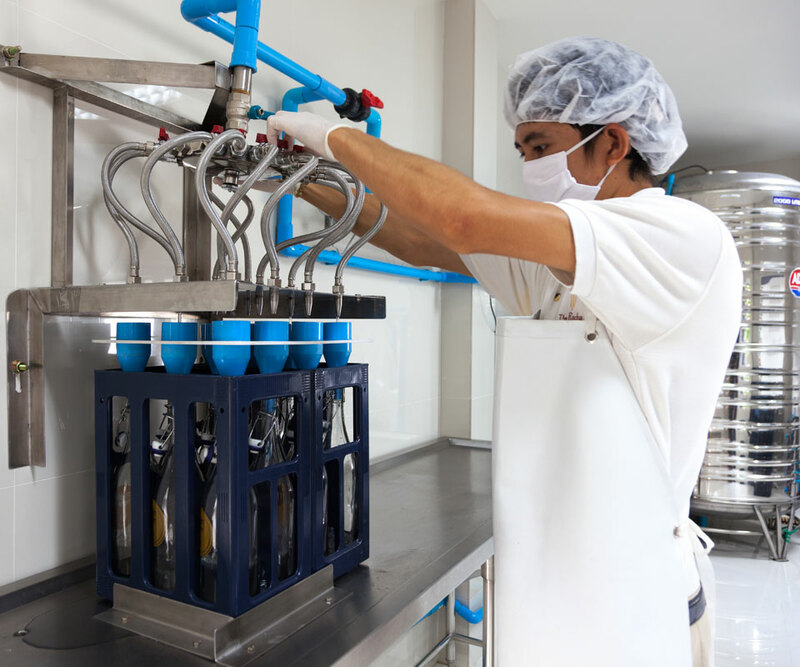 They are sterilized and bottled in our Glass Water Bottling Facility. Turn off villa lights, air-conditioning (for extended periods) when not in use. Choose the option of having bed sheets and bath towels changed periodically instead of daily. Join the resort staff for Daily Beach Clean at 9am (weather permitting). Take a self-guided ‘back-of-grounds tour’. At the perimeter of the resort gardens, guests are welcome to amble through many of the resort’s larger ‘green’ initiatives – the Hydroponic Farm, our Drinking Water Bottling plant, Bio-Gas station, Charcoal station, Solar Diesel Hybrid station and the reservoirs amongst others. 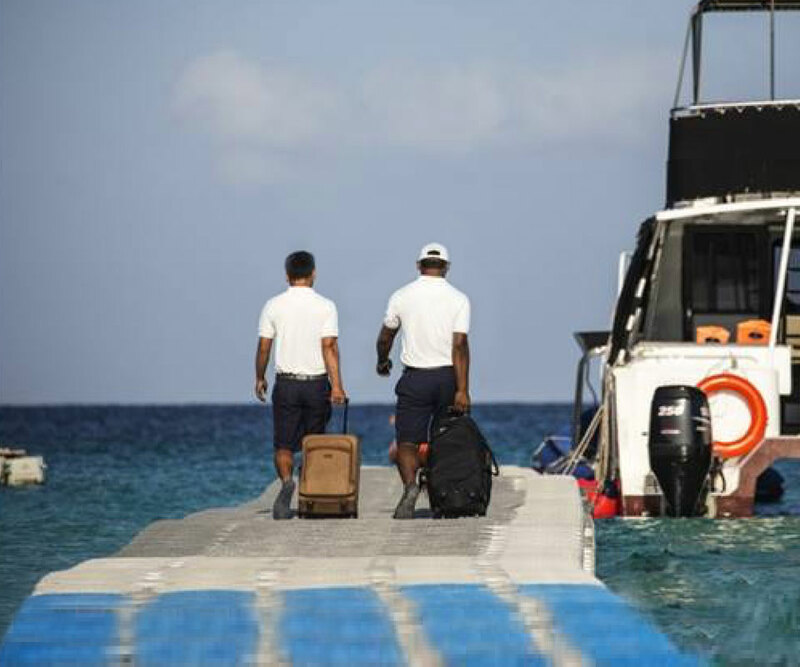 In doing so, the resort hopes that guests will take away with them, a deeper appreciation for conservation.